One of Garnduwa’s core underlying operational principles is the recognition, promotion and retention of Aboriginal culture in all of our programs. There more than 30 Aboriginal tribes in the Kimberley region, each with its own language and many with unique cultural practices. We are obliged by respect of country and the hope for a proper life for our children that we honour the culture and traditions of our people. Disclaimer: The Kimberley Language Resource Centre acknowledges that there are dialects not represented on the map above. 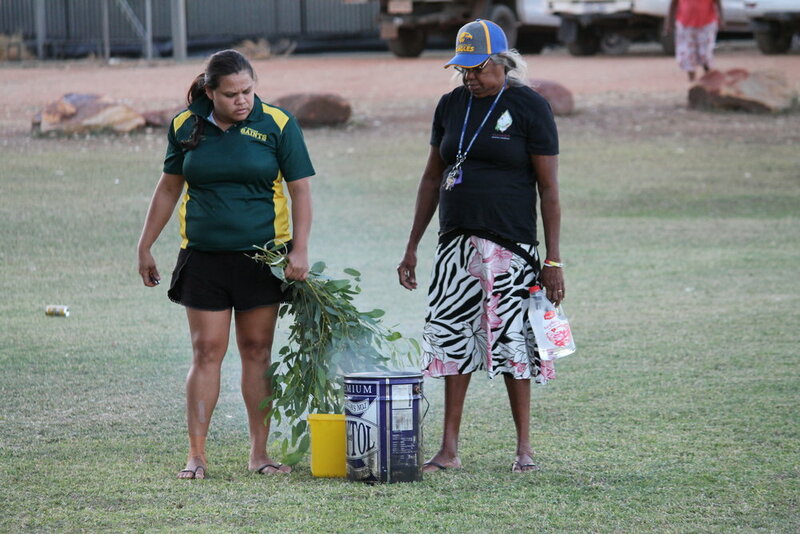 As a culturally safe conduit for sport and recreation throughout the Kimberley, Garnduwa plays an extensive role in working with state and national sporting associations including the Australian Football League, WA Football Commission (WAFC), Netball WA, Softball Australia and Athletics WA to assist in the delivery of their development and talent programs into the Kimberley region. The Smarter than Smoking Garnduwa Festival is the pre-eminent event of its kind in Australia. It is an opportunity for remote community residents to come together in a smoke and alcohol-free family environment to share stories and renew old acquaintances. The Garnduwa Festival is not a tourist event but a Kimberley celebration for remote community members that is managed and run by Aboriginal people. 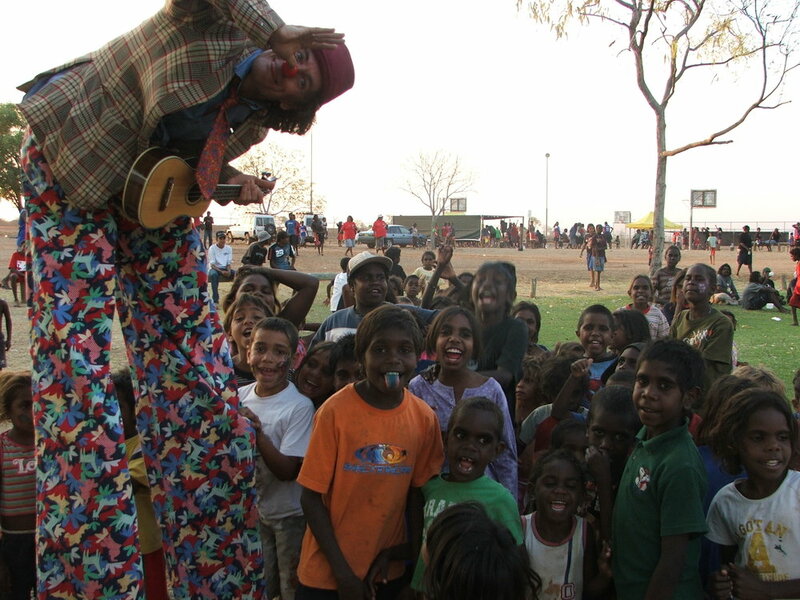 Many different traditional owner groups, language groups, communities and family groups meet at Fitzroy Crossing once a year during for a four-day celebration of cultural and traditional music and dance, contemporary music and youth artistic expression. Sports fill the days so families can come and watch their brothers, sisters, cousins, aunties and even sometimes their grandfathers in a safe and secure environment. Over 3000 Kimberley community members have an opportunity to showcase skilful sporting talents, particularly in the areas of football and basketball. For the majority of these vast Kimberley remote communities, the Smarter than Smoking Garnduwa Festival is a prized opportunity for their sporting rivalry to have an outlet. Learn more about our Garnduwa Festival and our Garnduwa Festival Heroes, including the Red Shirts and the Blue Shirts here. Aussie rules is king of the sports for Kimberley Aboriginal communities. Up to twenty remote community teams play more than eighty games of football over a period of four days. Teams from as far apart as Balgo in the south, Bidyadanga in the west and Kalumburu in the north come to Fitzroy Crossing to contest the McPhee and Joe Brown Cup’s. Temperatures often in the 40s do not deter the 600 or so young men from having a red hot go. Community footy at its best! Amongst the women, basketball is the game. More than twenty teams from across the Kimberley compete in two divisions for the honours of the top remote community basketball champions. Fortunately, in the last few years the newly covered courts have given the girls relief from the heat. Fast attacking basketball is the go. Another very popular event is the sprinting. Being the fastest male and female over 100 metres at the Garnduwa festival is a sought-after prize. Big crowds line the track to cheer on their champions.